Have you ever wondered what needs to be done to push an app on google play store? How many steps are involved? How much does it cost? What information is required? 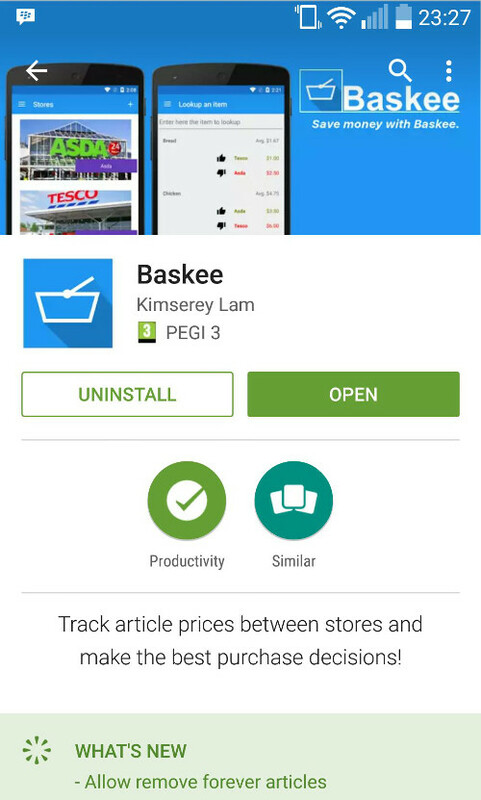 Few weeks ago I asked myself these questions and to answer it, I decided to publish an app on Google play store. Last week I completed a simple application and pushed it under alpha release on the Play store so today I would like to share what I did so that you will know how to do it too. Here’s a preview screen of my app published in alpha release - Baskee. You will see the acronym APK everywhere in this post. APK is the format of the application packages delivered for Android devices. Just in case you are interested, my development stack is VS2015 on Windows10, coding in F#/C# with Xamarin forms and Xamarin Android. 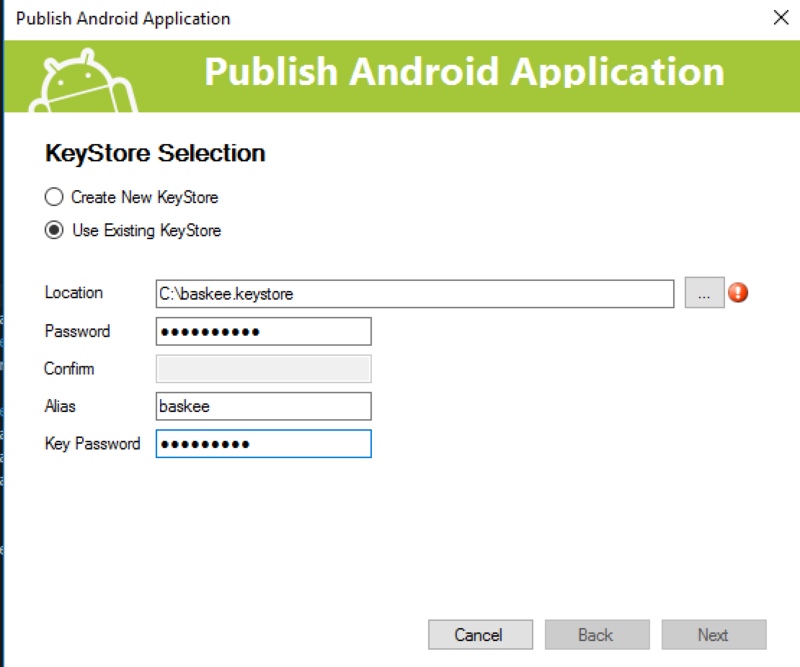 Now that we have the keystore, we can use it to sign our APK. To do that, start by building your app in Release config. Then head to Tools > Android > Publish. Select the keystore created previously, enter the password you set while creating the keystore and specify which key to use by entering its alias together with the password of the key (the second password you have entered previously). 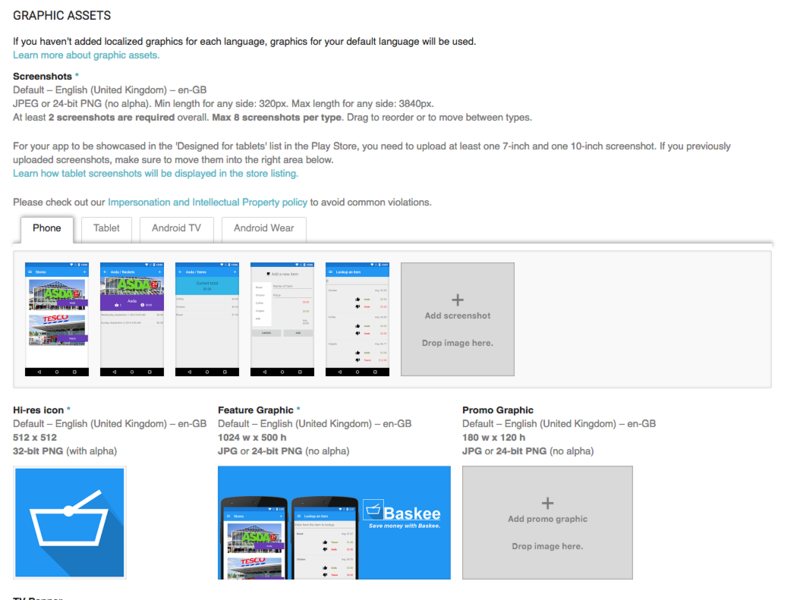 Aligning the apk is a process mandatory before publishing in the play store. Now that you have the aligned APK you can move to the next step - Create a Google Play developer account. Now head to the Google play developer console https://play.google.com/apps/publish/ and complete the process to open an account. Here you will need to pay 25 dollars to activate your account. Once that you have activated your account, you should be able to access the portal. From there, you can Add a new application and load an APK but you will not be able to publish it yet. You need to first provide few more details before having the possibility to publish it. After your APK is loaded before being able to push the app, some documents need to be provided and some information need to be completed. Content rate and Pricing & distribution are straight forward, there are just questions to answer and consent to give. Probably the one which will take the most time if you don’t have it yet are the information for the Store listing, especially the high resolution icon adn the feature graphic. Once you’ve done that you should be able to click publish. The app does not get published instantly, so just wait a few hours and that’s it! Congratulation you have deployed an app on Google play store! Today we saw how we could take a completed application and publish it to Google play store. I hope you could get a sense of what has to be done to publish. The process isn’t difficult and it takes just few minutes to complete if you already have an icon and a banner for the store listing. Hope you enjoyed reading this post as much as I enjoyed writing it, as always if you have any question leaveit here or hit me on Twitter @Kimserey_Lam. See you next time! I have a doubt about the charge of $25 whether it is a one time charge or it will be required each time when I publish a new app in Google Play Store? Thanks for reading the post! The 25 dollars is a one time charge. 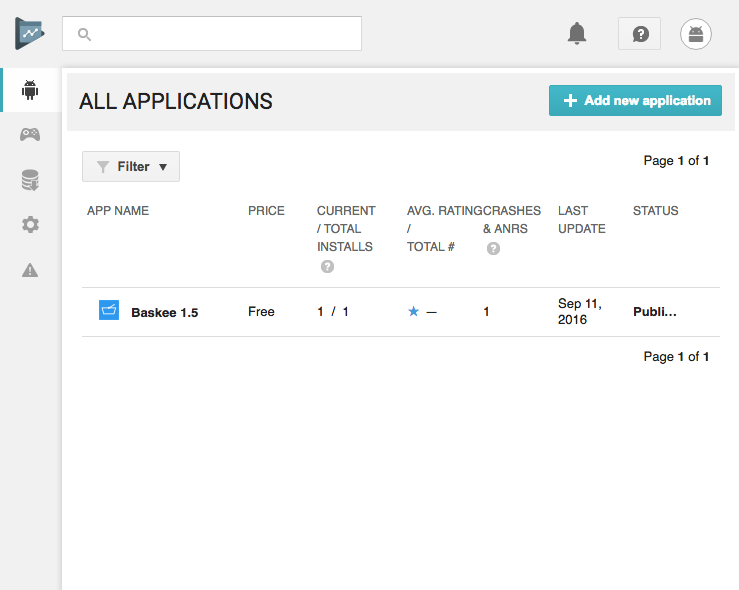 You will be able to publish multiple apps after. Thanks for responding. Alright if $25 is one time charge then surely I will use it.